Health bosses were warned about a potential breast cancer screening crisis last year and Government ministers knew about the recent scandal as far back as January, it has been revealed. Public Health England today admitted they found out about the grave errors in screening invitation letters for 68 to 71-year-old women in January but did not go public. Senior officials were warned about a potential crisis last year, while Ministers were informed it had been going on since 2009 in March but also kept silent. Three NHS hospital trusts flagged up the 'computer algorithm failure' that has resulted in hundreds of deaths in 2017, the Mirror reports. Government sources also told the newspaper the error was spotted in 2016 after an upgrade to computer systems. More than 300,000 victims of the NHS breast cancer scandal face an anxious wait of up to six months to discover if they have the deadly disease but experts fear their ordeal could last even longer. A dedicated helpline for those who may be affected had received around 8,000 calls by Thursday evening, according to Public Health England, which oversees the screening programme. Charity Breast Cancer Care said it had also seen a surge in calls to its own helpline, with many women feeling confused and angry. 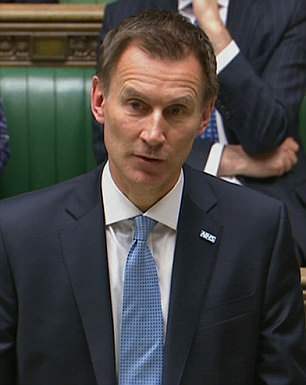 Jeremy Hunt has promised all the women who failed to get a final scan between the age of 68 and 71 over the past nine years will be screened for cancer by the end of October. But experts believe that the NHS will 'struggle' to keep their promise because they need at least 250 new staff as well as overtime from existing workers and help from the private sector. The Royal College of Radiologists said today they are 'stretched to the limit' as it is. 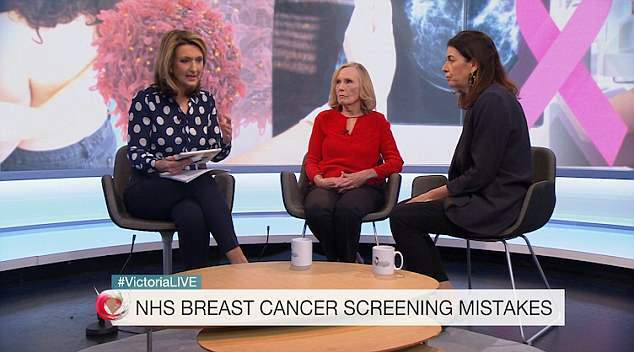 Fiona Hazell, head of policy at Breast Cancer Now said: 'We already knew there was a shortage in staff for the screening programme over the next few years. 'We think there is a bout 200 mammographers and 50 radiologists needed just to sustain the current programme. 'We are now talking about screening up to 309,000 women in the next six months in order to catch up. We are really worried about the ability to deliver this'. More than 300,000 women face an anxious wait of up to six months to discover if they have the disease but 150,000 have already died - 270 of them prematurely. A nurse who worked for the NHS all her life but was never asked for a final breast screening fears she could die after developing cancer as it was revealed health bosses first knew about the scandal in January. Q: I missed out on a final breast cancer screening, what can I do? A: Jeremy Hunt today said surviving women who are still in their early 70s will be offered a catch-up screening. A helpline has also been set-up. All women affected who wish to be screened will be invited to one in the next six months – he said most would be screened sooner than that. The NHS Choices website provides further information and the option to contact your local unit to book an appointment. Anyone concerned can contact the helpline on 0800 169 2692. Q: How do I know if I did not receive my screening invitation? A: All women affected who are registered with a GP will be informed by letter from Public Health England (PHE) by the end of May 2018. Women aged 72 to 79 will receive a letter providing clear information on what to do next if they want to have a screen. These women, aged 72 to 79, will be asked to contact the helpline. Women, aged 70 to 79, currently registered with a GP, who do not receive a letter from PHE can be assured they are not affected and do not need a catch-up screen. Q: How many women have been affected by the scandal? A: Between 2009 and the start of 2018, up to 450,000 women aged between 68 and 71 were not invited to their final breast screening. A: Mr Hunt made clear in his comments in Parliament that any case where the missed scan is established as a 'likely cause of death' would be eligible for compensation. Previous negligence cases over cancer diagnosis have led to payouts of between £65,000 and close to £1million. For more information call the helpline on 0800 169 2692. Q: What will prevent something like this from happening again? A: The Health Secretary has ordered an independent inquiry to find out exactly what went wrong, how many people died and who is entitled to compensation. He has promised the Government will be 'transparent' about what went wrong. The review, to be led by the chair of the Macmillan Cancer Trust and chair of the Royal Marsden Hospital, will take around six months. Patricia Minchin, 75, who was not offered a 68 to 71 screening by 2013 and found a lump herself in 2015, is sure she would avoided this 'trauma' if she and 450,000 others hadn't been forgotten. Mrs Minchin, who has had a mastectomy, radiotherapy and chemotherapy, said today: 'I feel absolutely let down. I worked for the National Health Service all my life, I was a nurse. I don't know if I'm going to survive'. Lee Towsey, whose mother died of breast cancer in 2012 aged 70 having not had a screening, said: 'It’s outrageous. It’s disgusting. Someone needs to resign'. Around 309,000 women forgotten by the NHS face a long and terrifying wait for a scan but experts fear staff could struggle to see them all in the next six months as promised by Jeremy Hunt last night. Health bosses also face a giant compensation bill with lawyers suggesting it could reach £100million, with £5million payouts in the worst cases where someone died because of the nine-year blunder. Families have demanded to know why officials took almost a decade to spot the disastrous IT error. It was finally detected in January but made public only yesterday – four months on. Dr Jenny Harries, deputy medical director of Public Health England, told BBC Radio 4's Today programme: 'There are a number of organisations involved in this and I think we are all - Public Health England, the NHS, NHS Digital, the Department of Health - devastated by this. 'We have a screening programme that is world-class. It affects all of us. Breast cancer affects one in eight women and many of our organisation members, of course, use the service just like other members of the public. But Dr Harries' boss Duncan Selbie, who was last seen in public three days ago, is yet to speak out. Lawyers last night warned the blunder at the heart of the breast screening scandal will cost the millions of pounds in compensation. Robert Rose, Head of the Clinical Negligence team at Lime Solicitors told MailOnline: 'In terms of compensation we are looking at claims worth in excess of £5million-plus in relation to fatal cases. 'But if we factor in other damage caused to women who have survived, and the costs of legal action, we are looking at figures of anywhere between £50million to £100million [in total]'. Families who have lost loved ones or women currently fighting cancer have been left heartbroken by the IT blunder. 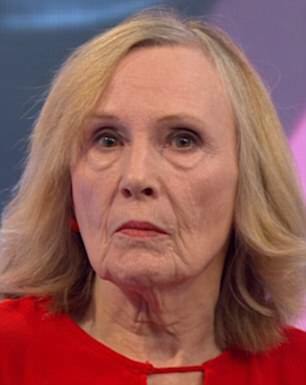 Appearing on BBC 2's Victoria Derbyshire show today Patricia Minchin said tearfully: 'The missed scan may have made a difference. Uncertainty is a big problem when you have breast cancer. You don't need an IT programme failing you'. Mrs Minchin said she wasn't angry because she didn't know whether to be angry with the NHS, Jeremy Hunt or the IT developers. She added: 'Why didn't they pick up that I hadn't had a mammogram? They obviously knew about it for some time and they shouldn't have covered it up for so long. 'The whole journey I went on, the traumatic journey, all the treatment may never have had to happen'. 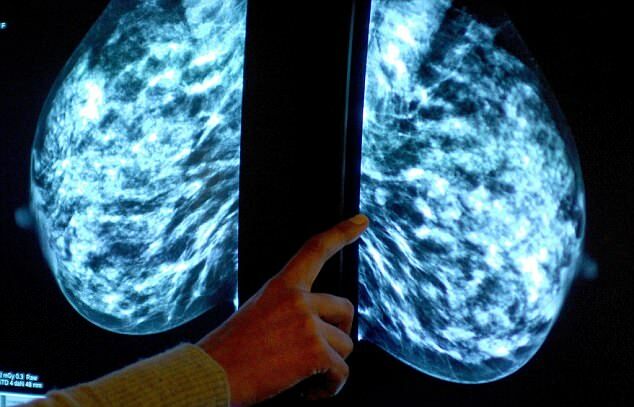 NHS chiefs are in the dock today over a breast cancer screening blunder that may have cost 270 lives. The NHS has pledged that NHS will get paid overtime and will bring in staff from the private sector to get the 309,000 people waiting for a scan checked by October. But there are concerns about how feasible this is. In a dramatic statement to the Commons, Jeremy Hunt said the failures meant 450,000 women were not invited for routine mammograms between 2009 and early 2018. The Health Secretary said up to 270 women could have died because their breast cancer was detected too late – or not at all. He apologised to affected families and launched an independent inquiry. 300,000-plus women will now be invited to an urgent scan and face an anxious wait to find out if they have cancer. Unfortunately some have already had the bad news that they are seriously ill after discovering lumps themselves. Families have demanded to know why officials took almost a decade to spot the disastrous IT error - but many of the NHS' bosses are still to reveal what they knew and when. Public Health England, the NHS, NHS Digital and the Department of Health are all taking responsibility for the blunder. Officials at PHE may have been warned of issues as far back as 2017. 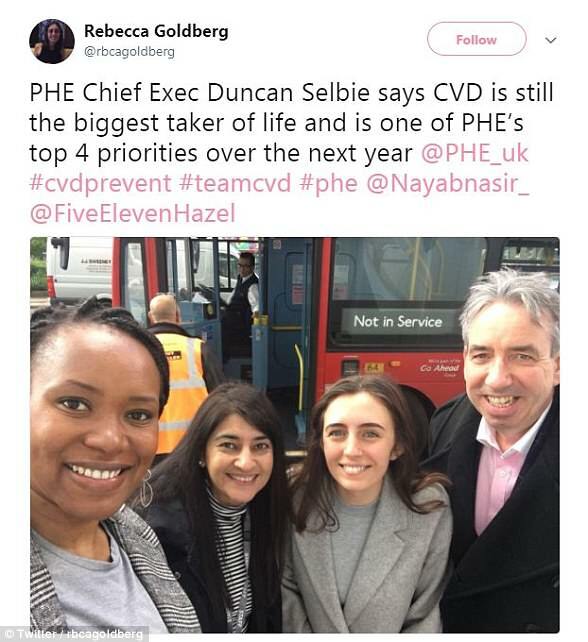 But Duncan Selbie, head of Public Health England, was last seen on May 1. And today day one of his deputies, Dr Jenny Harries, the PHE's deputy medical director, appeared on the BBC's Today programme instead to discuss the crisis. Critics have said the scandal involving 450,000 women is so devastating it should lead to resignations at the top of the NHS. Lee Towsey, whose mother died of breast cancer in 2012 aged 70 having not had a screening, said today: 'It’s outrageous. It’s disgusting. Someone needs to resign'. NHS England boss Simon Stevens has spoken out about his knowledge of the scandal. He was last seen a week ago where he said that the housing assets of older people should be taxed to pay for social care. NHS Digital's head Sarah Wilkinson, who took over last year, has not spoken about the colossal IT failure but did tweet yesterday. She was last seen a week ago speaking about cyber security. Only Jeremy Hunt has spoken out about the crisis. Mauveen Stone, who was diagnosed with breast cancer in August, claims doctors said she had 'slipped through the net'. HOW WAS THE IT GLITCH DISCOVERED? The breast cancer scandal was only discovered thanks to an Oxford University trial into extra breast cancer screening for women. The AgeX trial was set up in 2009 to find out whether cancers could be diagnosed with extra screenings 'without undue harm' in those aged 47 to 49 and 71 to 73. The 84-year-old from Yeovil in Somerset had her last screening in 1995 when she was 62 and was given the all-clear.However, she was never again invited to another screening or her final routine scan when she turned 70. It was only last year when she discovered a lump in her breast that she sought a check-up and doctors discovered a slow-growing cancer. 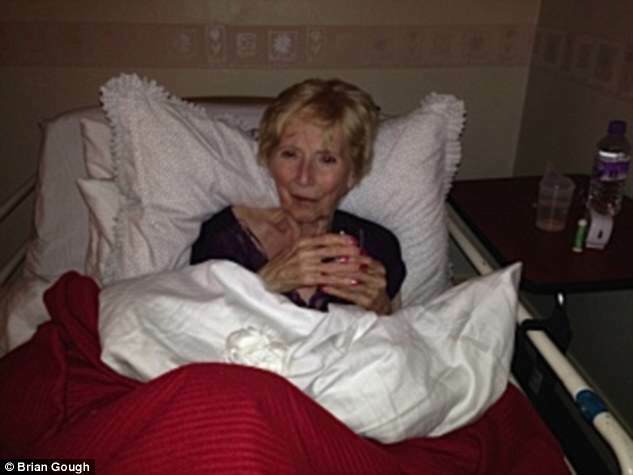 The former pub landlady and great-grandmother had to undergo surgery to remove four lymph nodes. 'The doctors were surprised that my last screening had been in 1995. They said I must have slipped under the net,' the mother of five said. 'If I was invited for a screening I most definitely would have gone like I did in 1995. I do not know why I did not get any more letters. I have been at the same address since. 'It was not something I thought about until I felt the lump. As my cancer was slow growing I don't know how long it has been present or if it would have made a difference if I went earlier. 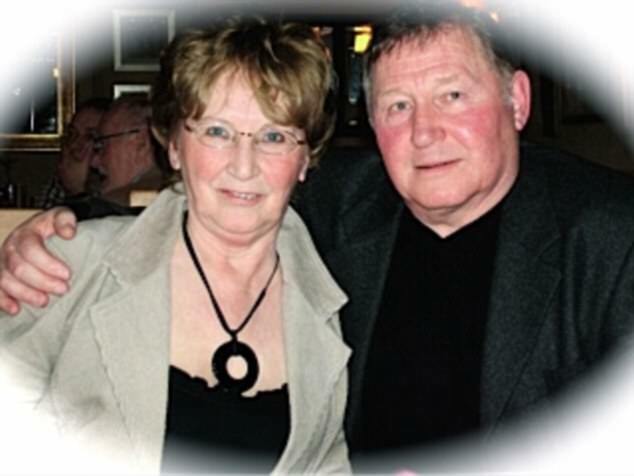 Brian Gough, whose wife Trixie died of breast cancer after missing out on a scan, said the situation was devastating. Mrs Gough failed to receive the notification to make an appointment for screening by the time she was 71, her husband said. In October 2010 she found a lump in her breast and immediately saw her GP who sent her for a scan and she was diagnosed with breast cancer. She had surgery followed by radio therapy and chemotherapy but after two years the cancer returned and she again went through a period of chemotherapy and blood transfusions. The disease spread to her other organs and she lost her life on December 28 2015. 'We worked all our lives and this was the time we wanted to enjoy together. That's not possible now. She's gone and I live alone,' Mr Gough said. 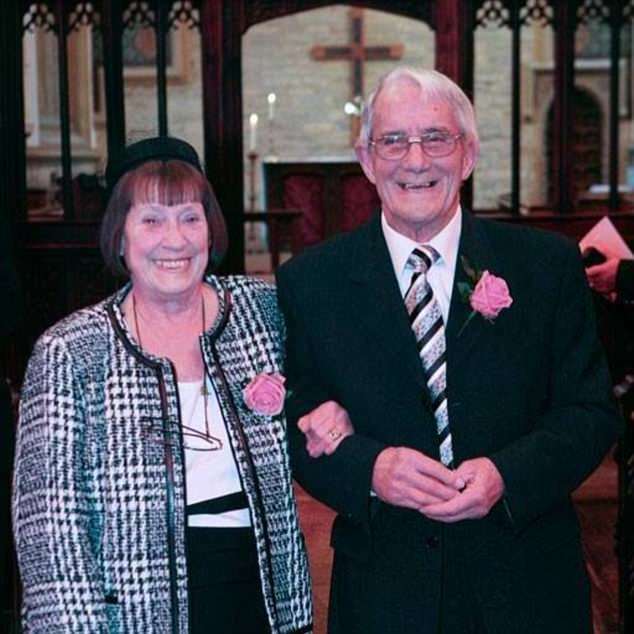 'It's been very painful going over this again but she was a wonderful, brave, uncomplaining wife for almost 56 years and she is still missed enormously by all of the family'. The 'computer algorithm failure' was traced back to the start of an Oxford-led trial aimed at extending breast screening to older women. The error meant an estimated 450,000 women aged between 68 and 71 were not invited to their final screening appointment. Launched in 1988, the NHS's breast cancer screening programme has been credited with saving thousands of lives through early detection. All women aged 50 to 70 are meant to be invited for mammograms, which are X-rays of their chest, every three years. But due to the fault in the IT system, up to 450,000 women aged 68 to 71 did not receive their letters between 2009 and early 2018. Officials at Public Health England said this was due to an 'algorithm' problem, a 'rule' built into the computer program, which accidentally cancelled the invitations. It is likely to have been triggered by the Oxford-led trail launched in 2009 and aimed at extending screening to women aged 71 to 73. To make matters worse, some local health trusts were not aware that they should have been inviting women aged 68 to 71 for screening.